Reported modalities of intake include oral consumption, insufflation, smoking, rectal and intravenous use. It is supposedly active at 3-5 mg, with typical doses ranging between 5-20 mg. In the UK, following the ACMD's report on cathinone derivatives, MDPV is a Class B drug under the Misuse of Drugs Act 1971, making it illegal to sell, buy, or possess without a license. Penalties include a maximum of five years and/or unlimited fine for possession; up to 14 years and/or unlimited fine for production or trafficking. See list of drugs illegal in the UK for more information. MDPV is specifically listed as a controlled substance in Finland (listed appendix IV substance as of 28 June 2010), Denmark and Sweden. In Sweden a 33-year-old man has been sentenced to six years in prison by an appellate court, for possession of 250grams of MDPV that had been acquired prior to criminalization. While it is not a controlled substance in Germany, it does fall under the Medicines Act (AMG) which makes it illegal to manufacture, sell or import without a license and will be discussed to be scheduled on 12 December 2010. Fentanyl (also known as fentanil, brand names Sublimaze, Actiq, Durogesic, Duragesic, Fentora, Onsolis, Instanyl, Abstral, and others) is a potent synthetic narcotic analgesic with a rapid onset and short duration of action. It is a strong agonist at the μ-opioid receptors. Historically it has been used to treat chronic breakthrough pain and is commonly used before procedures as an anesthetic in combination with a benzodiazepine. Fentanyl is approximately 100 times more potent than morphine, with 100micrograms of Fentanyl approximately equivalent to 10mg of morphine and 75mg of pethidine (meperidine) in analgesic activity. It has an LD50 of 3.1milligrams per kilogram in rats, and an LD50 of 0.03milligrams per kilogram in monkeys. For more information on the drug fentanyl, see our Fentanyl Information page. 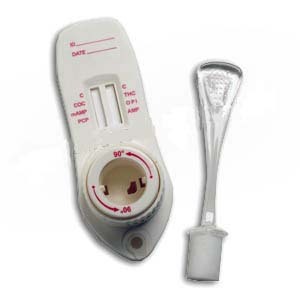 Fentanyl Urine Dip Strip Test - for the detection of Fentanyl drug use in human urine. $4.95 in quantities of 1 to 24. $2.00 in quantities of 25 and up. RETAIL $69.95 Our Price Only $4.95 each. Fentanyl UrineLab Test - for the detection of Fentanyl drug use in human urine. #LAB-MRO Service - Medical Review Officer review / confirmation of Lab results.